Mr. K and I were so excited to eat at the newest dining destination in the East Bay, which incredibly, is located in San Leandro! 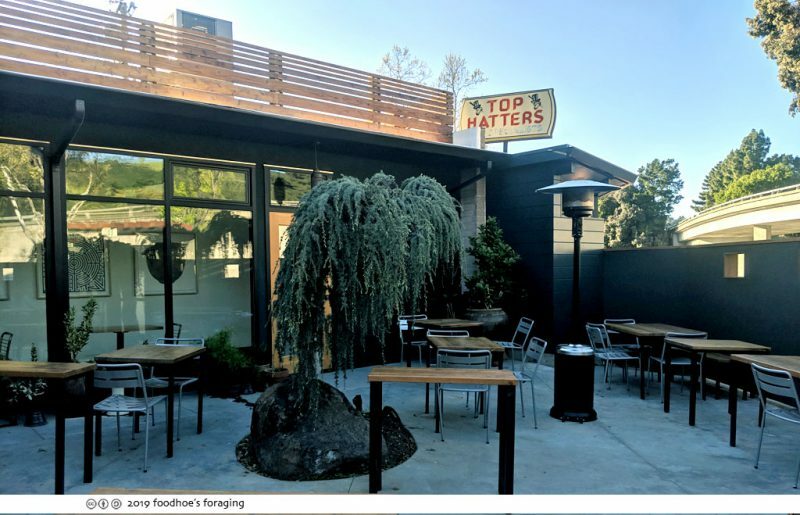 It has been lovingly transformed from The Top Hatters hat shop into a restaurant that is sleek and modern with rustic wood details and lots of cool light fixtures. 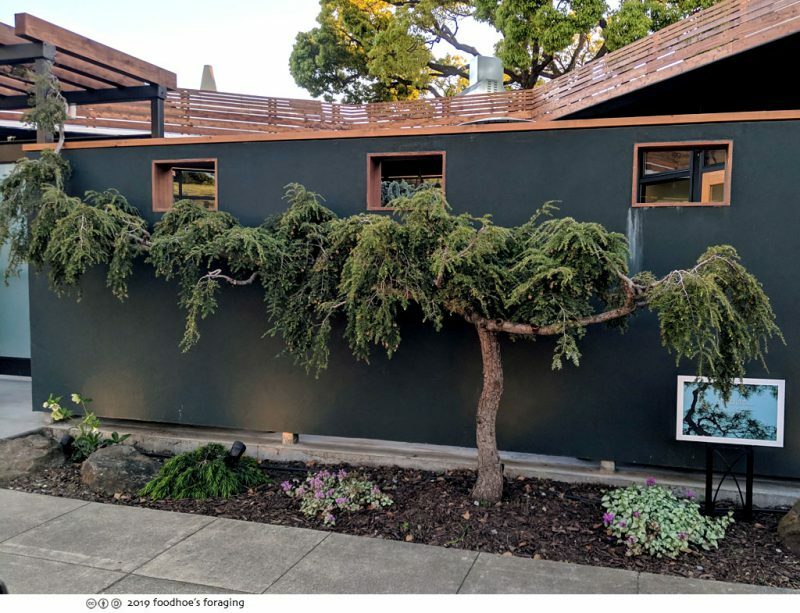 It has a cool rambling layout filled with glass windows that look out to the central patio, which is dominated by a beautiful weeping cedar tree that is original to the property. The chef-owner DanVy Vu used to operate the Go Streatery food truck which served excellent gourmet peasant cuisine that I loved and wrote about here. 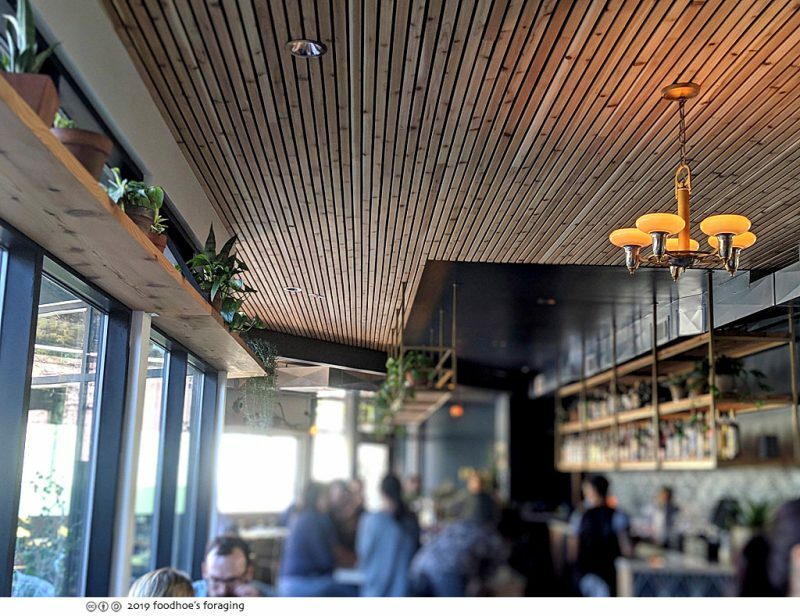 She aims to fill in the void of San Leandro’s food scene with an eclectic mix of rustic, made-from-scratch dishes, always nuanced and inspired by what’s available seasonally. Did I mention that they aren’t even officially open yet? We signed up through Eventbrite so we could check them out during their soft-opening last weekend. They have a full bar with counter seating where Mr. K enjoyed a Negroni Derby ($13) roku Japanese gin, cynar carpano antica, orange bitters. 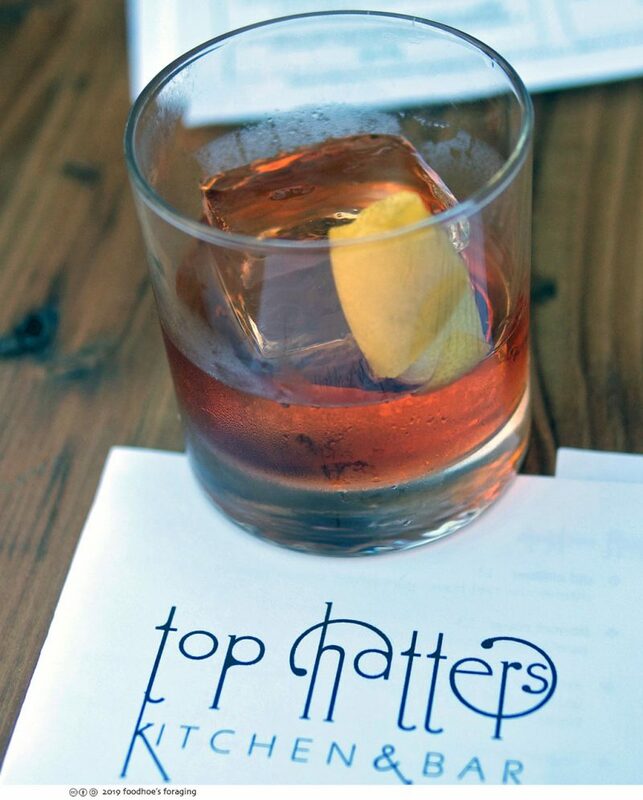 It was lovely and aromatic, made with ingredients we’d never heard of, and accented by a beautiful square ice cube and fragrant rosette made of lemon peel. I just had a glass of bubbly. 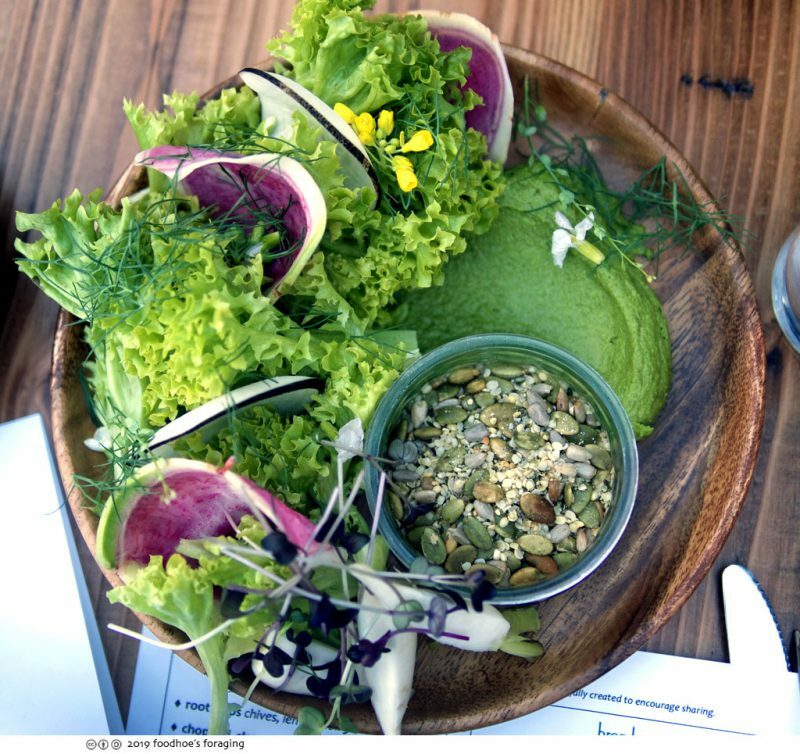 The menu offers a variety of small and large plates that encourage sharing. 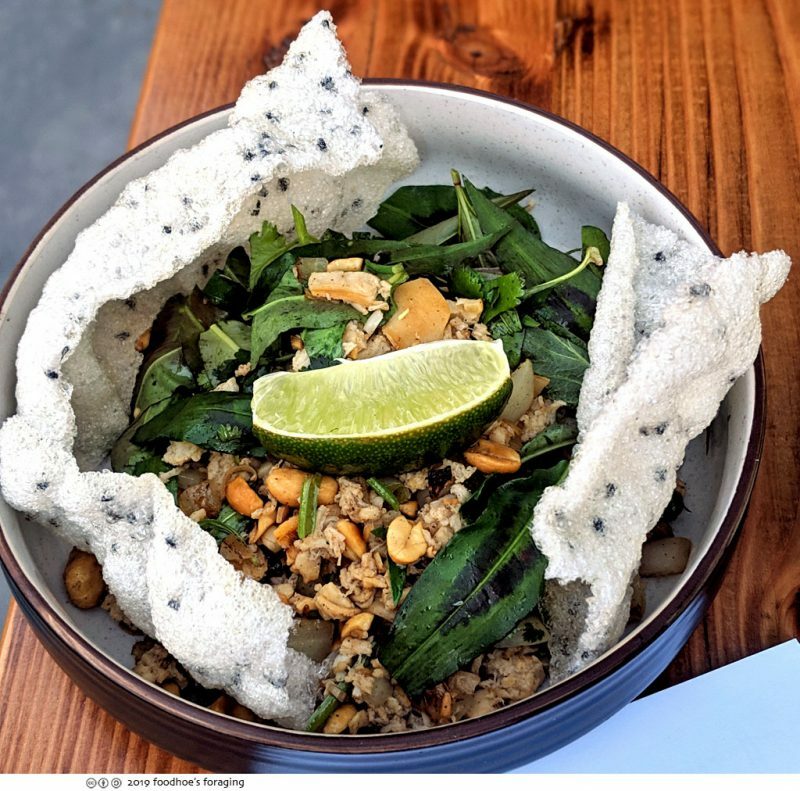 From the bar/table snacks menu, you have to order the chopped clams and viet herbs, peanuts, thai chile, lime sesame rice crackers ($9). It is a substantial snack, full of fresh vibrant herbs and greens, crunchy peanuts tossed with a bright savory dressing that sings from a squeeze of fresh lime. 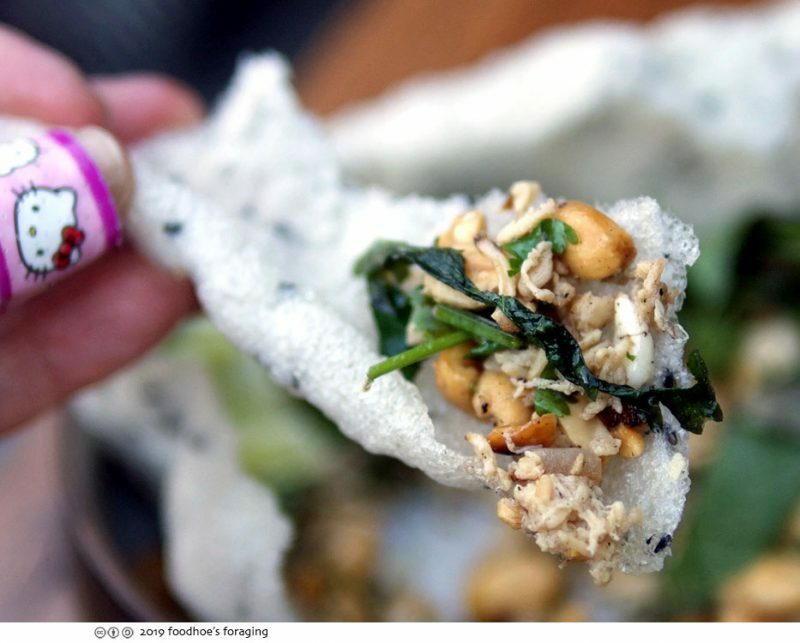 The dish is lined with deliciously crisp rice chips that provide the perfect base to pile on the heavenly mixture. So lip smacking good! The Sweet potato nests were amazing! 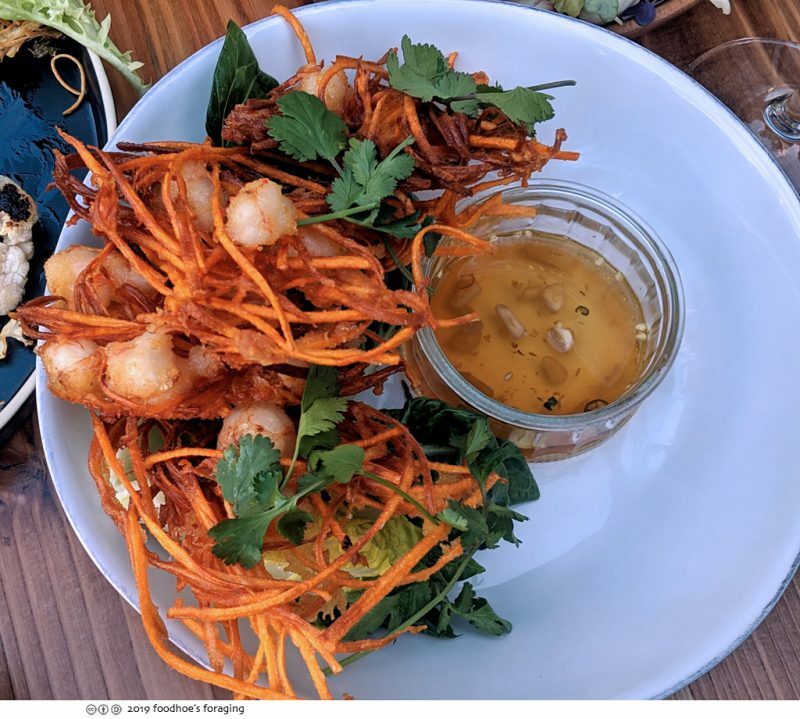 Crunchy fried nests made of shredded sweet potato filled with shrimp, garnished with cilantro, served with leaves of lettuce to wrap with, and a fiery pungent viet lime sauce to dunk into or drizzle over ($13). The texture of the sweet potato was addictively crisp and the shrimp were succulent and juicy, drizzled with the sauce, each bite exploded with brilliant flavors. I really loved this dish. 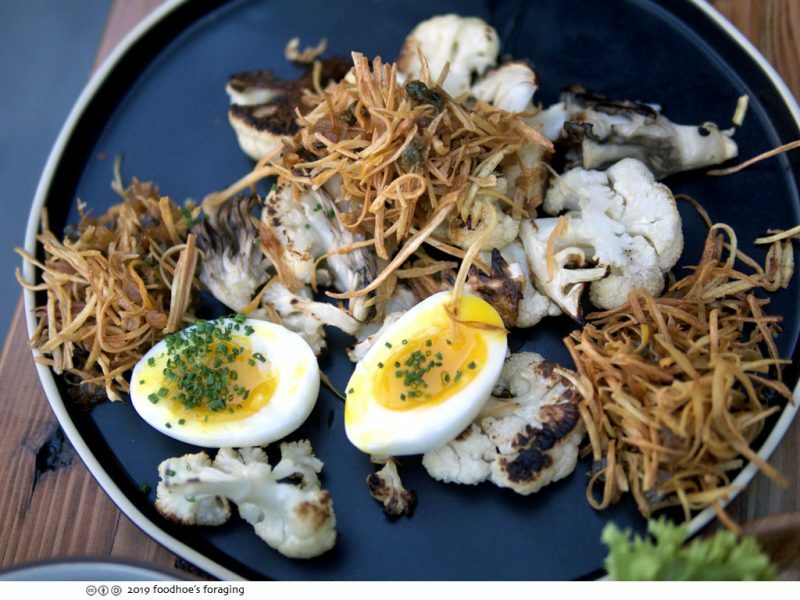 We had shared a final dish of roasted cauliflower and hen of the woods mushrooms, served with bundles of shoestring parsnips, drizzled with herb oil and capers, topped with a perfectly cooked soft boiled egg ($17). This was a fabulous dish, a complex weaving of textures and subtle flavors that I could eat for breakfast everyday.